We found this listing on Amazon.com. We then looked through the review’s and was stunned with our findings! (we’ve blanked out the manufacturer’s details for confidentiality). Below is the most helpful review of this product, and it’s a 1-star review! 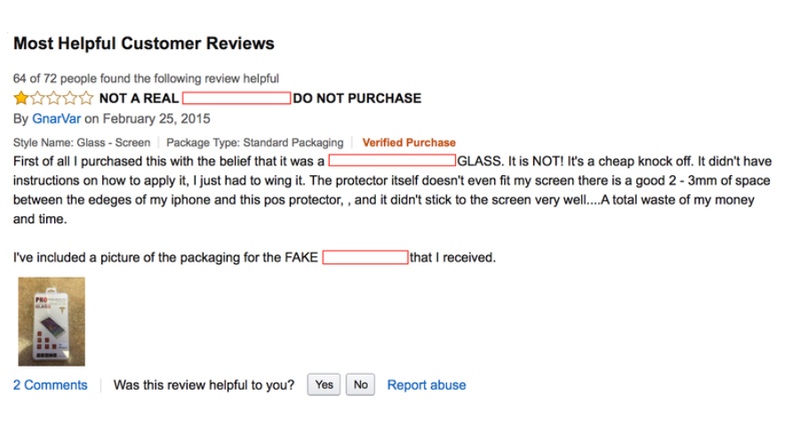 The customer received a fake glass screen after ordering an original item believed to be from the original manufacturer. The number of customers that have been put off from buying this item is unknown, but this will be damaging the manufacturers brand and as a result, will mean less sales. You may as well throw your money down the drain instead of using it to drive sales and marketing for this product. As soon as potential customers land on this page, they will look at the reviews and see this bad customer review and abandon the page, which in turn will tell Amazon’s algorithm not to put this up the rankings because the page has been exited too many times without making sales. 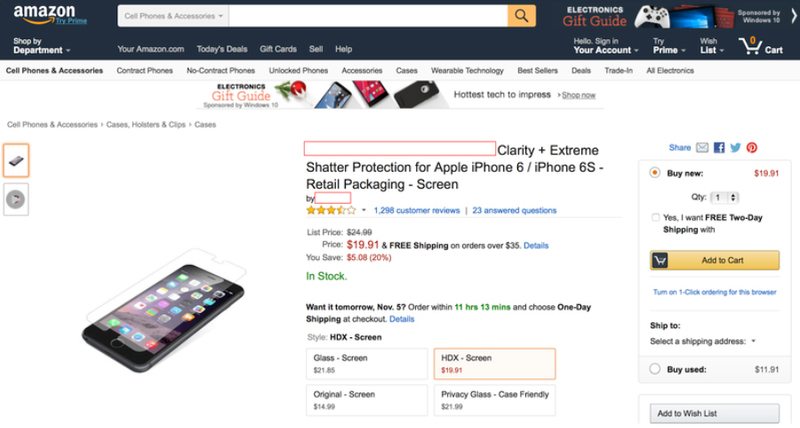 The manufacturer is not in control of this listing and is another reason they should be selling their brand through one exclusive partner or exclusively themselves on Amazon.